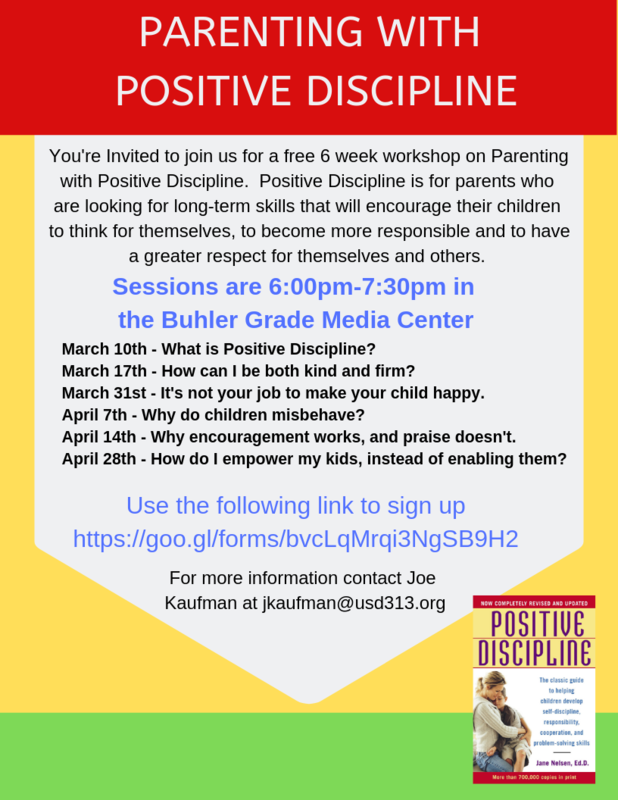 Buhler USD 313 is having a free 6 week workshop on Parenting with Positive Discipline for parents. This is open to grandparents and guardians as well. Please click here to learn more about the workshop and how to register.